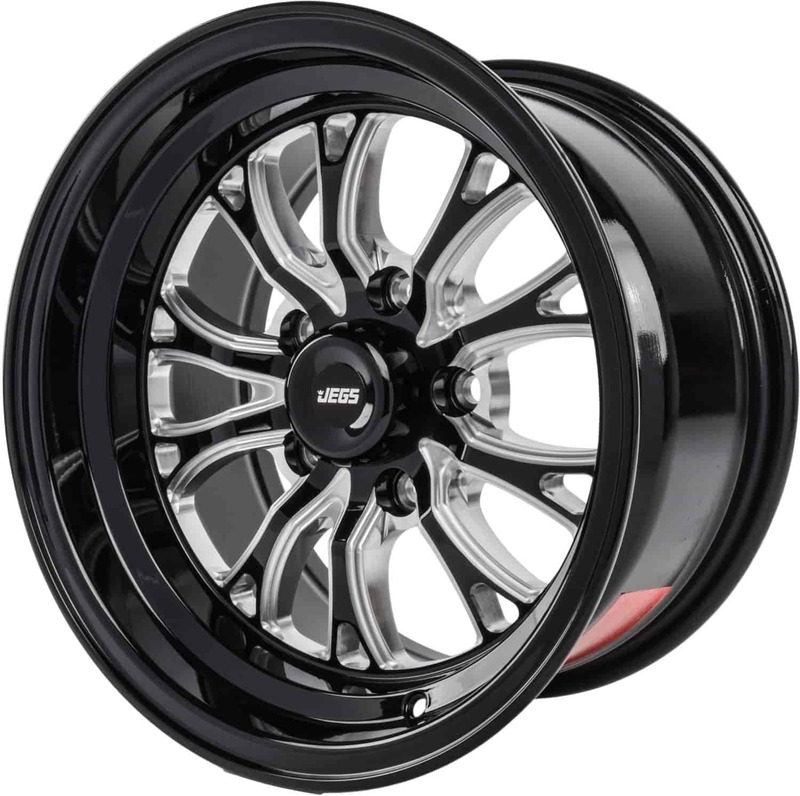 681422 - JEGS SSR Spike Wheels is rated 5.0 out of 5 by 6. Rated 5 out of 5 by Copper cutlass from Value is king It's a very nice looking wheel with a great price. They are a bit bulky compare to similar style wheels from weld, centerline, etc etc. But not a deal breaker . Rated 5 out of 5 by sirshopsalot from Great looking wheels I've bought 6 of these 15x7's, 15x8's and 15x10's, I plan to use the 15x10's for my slicks. I haven't had the chance to have them mounted. I do have to say they look amazing!!! I've received many complements over the design and look of these wheels. I only wish I had a picture of my truck with them mounted. Rated 5 out of 5 by Cjroadstarr from Jegs wheels Jegs wheels FTW..exactly what I ordered,finish and look of my ssr spikes,and price is the best. 84 Cutlass with 8.5 rear will these fit.. also do they come in different off set or back spacing? Can I order these wheels undrilled? I with no stud pattern to suit a custom application. No, these wheels are all pre-drilled. will these fit a 97 z28? These wheels have the right bolt pattern for your car, but you may need to modify the calipers to make them fit. Your Z28 had 16&quot; wheels on it from the factory so these are 1&quot; smaller and may interfere with the caliper. No, you Genesis has a 4.5&quot; bolt pattern, but this wheel will not clear the brakes as your original wheel is 19&quot; in diameter. No, these wheels are not available in the 5 x 5&quot; bolt pattern. Will these fit on a 98-02 Trans Am or Camaro with stock brakes? Brake sizes on the 4th Gen F body requires much more backspacing GM used a 16&quot; wheel to clear the larger brakes used on this Gen. I suggest reading the forums before you proceed as it seems it has been done but &quot; caliper grinding &quot; was needed in many wheel cases when going to a 15&quot; wheel so PROCEED AT YOUR OWN RISK. I DO NOT recommend it, but yes it has been done. Up to what size lug stud do these wheels accept? These wheels accept up to a 1/2 inch stud. Will these fit on my stock 1968rs camaro. Yes, these wheels should fit your Camaro.